We strongly believe in supplements for our large-breed puppies and dogs, and highly recommend Dog Bloom. You can also purchase Dog Bloom supplements for your horse through us. Please contact us with any questions. Oral biotin supplement for hoof health. Concentrated Source of Pure Biotin, a B vitamin that has been proven beneficial to hoof health and excellent for horses with hoof problems. Great for mane and tail growth as well. Recommended to be used in conjunction with Equine Bloom VM 999 vitamin-mineral supplement. 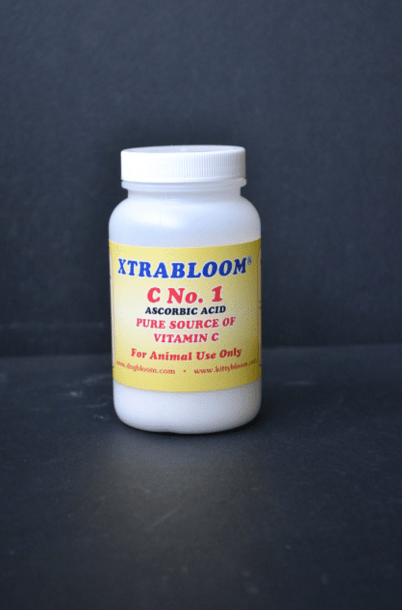 Both Xtrabloom C2 is pure U.S. Pharmaceutical Grade Vitamin C from pure sodium ascorbate (non-acid form of ascorbic acid). No dilution is made. Helps in collagen formation and maintaining a healthy immune system. Please follow the dose and instructions on the label. 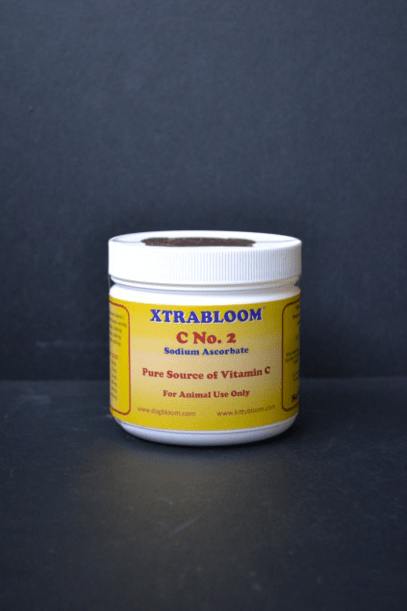 Always use EQUINE BLOOM complete vitamin supplements when using any Xtrabloom products. Please follow the label instructions. Dosage instructions are on the label. 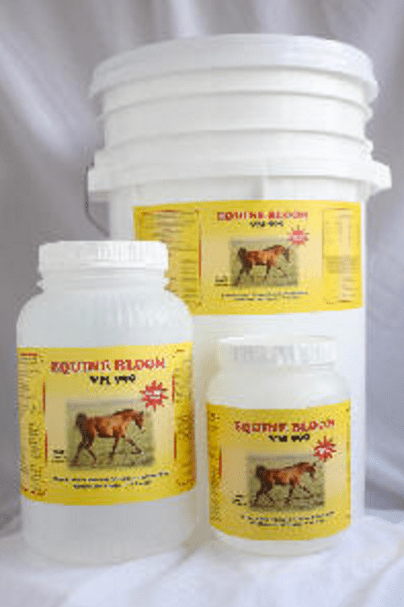 Provide EQUINE BLOOM complete vitamin supplements when using any Xtrabloom products.